We have already covered it in detail why you cannot jailbreak your iOS 8.1.3. Apple has stopped signing iOS 8.1.2 firmware which has patched up all those elements which aid to the jailbreak process. PPJailbreak and TaiG are killed and every vulnerability is sewed to disable the jailbreak ignition. Now it is impossible to downgrade your iOS device from iOs 8.1.3 to iOS 8.1.2 and hence every way to jailbreak is dead. However, if you still want to jailbreak your iOS 8.1.3, there is a catch, which enables you to keep the jailbreak status. Seiterseiter1, a Reddit user confirms that PPJailbreak enables you to jailbreak on iOS 8.2 on the 2nd beta version. This states that you can jailbreak your device if you’re running iOS 8.2 beta 2. All you have to do is install iOS 8.2 beta 2 and proceed with the instructions we tell you below. Earlier, we talked about catch which is the non availability of iOS 8.2 beta 2 since the latest iOS 8.2 beta 5 has arrived. So even if you’re a developer, you cannot get iOS 8.2 beta 2 from the Member Center on Apple’s official developers website. The download links that were once dispersed are not working either so the only way is to Google your way to get the iOS 8.2 beta 2 firmware. According to iH8sn0w, the one that favors our program is the expiration, iOS 8.2 beta 2 does not go out dated and will be available. So it means that once have hold of the iOS 8.2 beta 2, you have all permissions to jailbreak your iOS 8 and keep this status forever without losing it. When you have successfully installed the iOS 8.2 beta 2, follow the instructions to jailbreak your device. PPJailbreak is available on Mac version OS X 10.7 or up. While Windows users can use TaiG jailbreak. 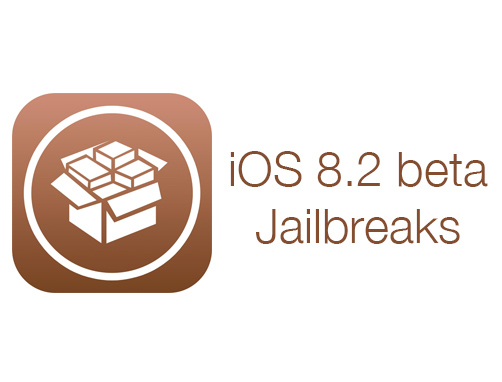 You cannot jailbreak iOS 8.2 beta 3, beta 4 or beta 5. iOS 8.2 beta 1 can be jailbreaked too. Before moving any further, use iClouds or iTunes to back your data up. Even though the jailbreak has been said to work, but just in case if something goes wrong. Uninstall any antivirus or programs like firewalls for now, else it may prevent PPJailbreak from connecting to the internet. If your iOS version is 8.1.2 then it is recommended to you to stay on it and do not upgrade to iOS 8.2. This is because some of the tweaks do not work with iOS 8.2. If you’re running iOS 8.1.2 then you can normally jailbreak your device. 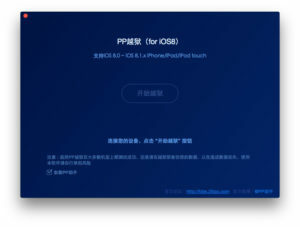 Step 1: Download PPJailbreak’s latest version from here. Step 2: Use a USB cable to connect you device to the computer. Step 3: Disable Passcode and Touch ID from settings. Step 4: You should also disable ‘Find My iPhone’ from Settings then iCloud then Find My iphone. Step 5: Launch PPJailbreak by double clicking on it. Step 6: Detection of you device can be slow but once it shows the correct firmware version, uncheck the box at the bottom of the screen as it tends to download Chinese pirated app store. Step 7: Then click the center button to further proceed. Step 8: On the next page, click the button pointing right where it tells you to disable Find my iPhone and passcode. Step 9: Your device will reboot automatically as soon as the jailbreak is complete. After it turns back on, you will also see a Cydia icon on the home screen. Note: Do not forget to re-enable your password or Touch ID along with Find My iPhone feature after jailbreaking your device. Once you have jailbroken your iOS device, do check out these cool tweaks. For now, let us know if you had any trouble in the comments section.